OSWEGO, NY – Members of the Oswego High School Interact Club recently assisted the Sunrise Rotary Club with its annual spaghetti dinner fundraiser held at The Oswego Tea Company. 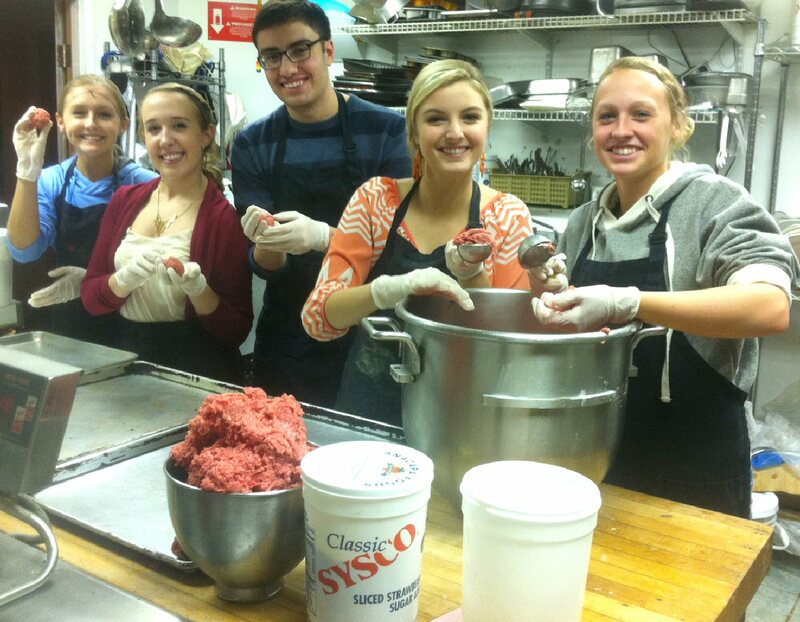 Making the meatballs for the annual fundraiser from left are: Hannah Broadwell; Club President Rebecca Victory; Treasurer Kiernan Proud; Vice President Meredith Chesare; and Elaina Broadwell. Students, working with Rotary members, took part in all aspects of the event, including ticket sales, preparation, cooking, serving and cleanup. The funds raised from the dinner are slated for the creation of scholarships to be awarded to Oswego High School seniors later this school year. OHS Interact Club Advisor Warren Shaw and Club President Rebecca Victory echoed Symons’ sentiments and also added their appreciation for the scholarships that will be generated. Both clubs expressed their gratitude to Pathfinder Bank for sponsoring the event and to Lisa Shaw of the Oswego Tea Company for donating the use of her kitchen and dining room for the dinner.